After some internet issues this week I was forced to take a few days break from blogging. 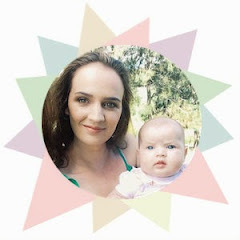 So, today I am back with this weeks birth story from Charlene, a fellow kiwi Mummy blogger, at Teacher by trade - Mother by nature. I was 9 days overdue - induced labour. I did have a false labour the weekend before - that was a horrible experience! Hospital - based on recommendation from midwife due to the size of my baby. I wanted this birth to be different to my first ( it was a long labour & birth and I had all the drugs). As recommended by midwife (due to the size of my baby) I wanted to labour in the birthing pool & deliver on the bed. Skin-to-skin contact for as long as possible & the cord to be cut after it stops pulsating. To take the whenua (placenta) home for burial. 5. 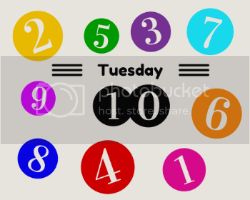 Did your birth go according to your birth plan? Give us a brief overview of your labour and birth. After a false labour the weekend before, two stretch & sweeps, and my daughter's birthday on the 8th March), I chose to be induced at 9 days overdue...Here's what happened on the 5th March 2014. We arrived at the hospital at 7:30am - I was hooked up to the monitor to check baby's stats and my midwife performed an internal exam. I was 4-5cm dilated, and with my consent, she broke my waters. There wasn't much fluid, when my waters broke, just a bit of a trickle (you do hear stories of gushes). I wanted to be active, so I walked up and down the hospital entrance hill a couple of times, then hit the stairs (bit of a workout that's for sure). At 10:30am I returned to the room and was given Syntocinon (through IV drip), once the contractions began, the rate of the drip was increased. I got comfortable sitting on the swiss ball, because I didn't want to be on the bed (well not just yet). I was moved to the Delivery Suite and started to feel the contractions more and more. I had a goofy smile on my face - feeling really positive about everything, just taking it all in my stride and enjoying the experience. 12 pm - Contractions started getting closer & closer. I was getting a lot of pain in my back (due to baby being back on back). Thankfully my partner and parents were there to rub my back through each contraction. 2pm: Not so smiley now, the syntocinon was cranked up quite a bit and the contractions were coming hard and fast - a few actually made me cry - YES they were THAT painful (note: contractions are painful :)). I should note I have had NO pain relief whatsoever - with every contraction I just closed my eyes and concentrated on my breathing (self-hypnosis), swaying my hips and rocking on the swiss ball helped a lot too. 3pm ish: It was time! I was ready to push! I hopped on the bed and held on to the hand rails because these contractions were not very nice. I should mention I had my partner, my Mum & Dad, Midwife and a student midwife in the room with me. 3:55pm: After 45 minutes of pushing - Our son, was finally here! There was not a dry eye in the room, everyone was so happy - hugs, kisses and high fives all around. I looked at my son and instantly fell in love. I looked at my partner and fell in love with him (again) too! I had skin-to-skin with my son for just over an hour, my partner cut the cord once it had stopped pulsating and the placenta came out not long after. Master M took to the breast like a pro too. After an hour of skin-to-skin, it was time for the weigh in. Midwife knew he would be a whopper (in the 10lb range), I was thinking (and hoping) 9lb something, and everyone else had similar guesses! Boy, were we wrong! YES 10 POUNDS 14 OUNCES (just shy of 11 pounds). He was the midwife's 2nd biggest baby she delivered in her career (by only 20gm). I was in shock, saying "Are you kidding me?" "Really", "OMG" "Are you sure? "...I gave birth to a 10lb 14oz baby boy with NO PAIN RELIEF! I was super proud of myself. I knew our boy was going to be big, but not THAT BIG! He was our 'Gigantor' baby (nickname since I was 6 months pregnant). When it was time for me to get up and have a shower, I stood up very slowly and had to sit straight back down and lie down because I got really light-header. My body wasn't quite ready to move. The midwife told me that it is totally normal, "you have just given birth to an almost 11 pounder and your lungs are in shock!" (that makes sense). So I waited another half hour before trying it again. This time I managed to get up and walk to the shower. I couldn't walk upright and it felt like I had smoked two packets of cigarettes! It felt really weird not carrying all that extra weight! I had my shower, and felt like a new woman - clean, feeling refreshed and wearing my new pajama pants, bought especially for this occasion (it is really the simple things). We were moved to the Maternity Ward shortly after. My partner and I just sat and admired our son! Still in shock about his birth weight. We were in awe - Master M is the "Definition of Perfection". I am so proud of myself for giving birth to a 10lb 14oz baby boy naturally and with no pain relief! I was told I'm a 'legend' and I actually felt like one. It was a truly positive experience for me and completely different to my first. I gave birth to a very healthy baby boy, so yes it went according to plan. Be positive! Listen to your body and enjoy the experience! At the end of it all, you are going to be Mum and that trumps all the pain! Congratulations & All the Best. No, I wouldn't change a thing. It was a very positive experience for me. I had the best midwife and an amazing support team! Thanks so much for sharing you birth story with us Charlene! It was a great read - you did amazingly birthing naturally with such a big baby! 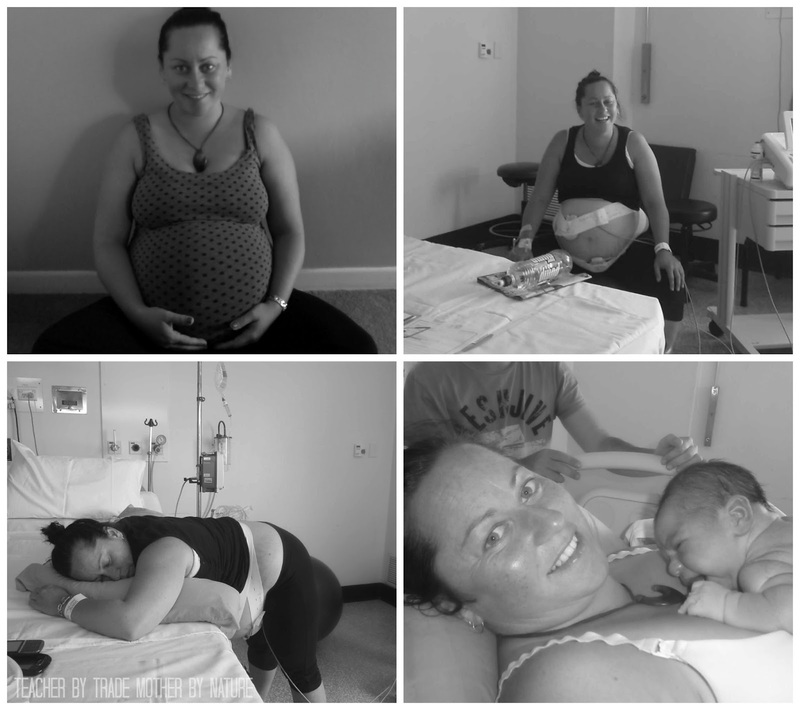 If you would like to share your birth story on the blog you can contact me akiwimumma@gmail.com. Thank you so much for featuring my birth story Tegan! I still get all teary eyed when I read my story...it was a truly beautiful and positive experience.